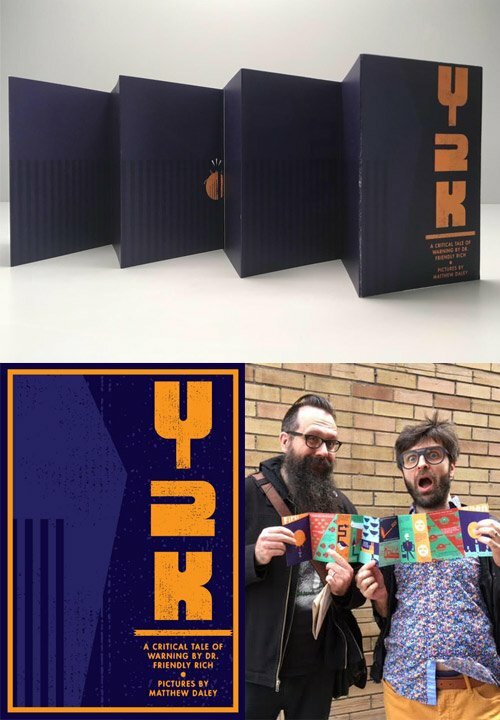 Delightful Toronto-based illustrator Matthew Daley will be offering his newest project, a collaborative effort with author Richard Marsella, titled Y2K, at this weekend’s Toronto’s Comic Arts Festival. TCAF will be held at the Toronto Reference Library this May 12th and 13th. Matthew and his book will be on the third level at table 310. Go and have a chat with Matt! Buy his book!